Create a legally binding Georgia Bill of Sale with our attorney-drafted template! What Is a Georgia Bill of Sale? A Georgia bill of sale is used to transfer ownership interest in personal property. The involved parties are referred to as the buyer and the seller. Some bills of sale may need to be notarized. Even if the bill of sale you need doesn't legally require a notary public stamp, getting one can still be beneficial since the notary involved will verify the identification of the involved parties before the document is signed. What Are Some Common Bills of Sale Used in Georgia? The most commonly used bills of sale in Georgia are a general bill of sale, a bill of sale for a motor vehicle, a bill of sale for a boat, and a bill of sale for a gun. How Do I Write a Georgia Bill of Sale? To write a Georgia bill of sale, you need to gather and include specific information about both the buyer and the seller. That information includes their full legal name, their physical address (including the city, state, and zip code), and their driver's license number. If either party doesn't have a valid driver's license, you may be able to use the number listed on their state identification card. However, if you're buying a car, you may be required to have a valid Georgia driver's license in order to purchase and register the vehicle. 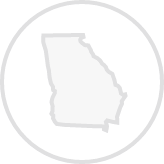 In addition to the basic information about the buyer and seller that should be included in any Georgia bill of sale, you will need to list certain information about the item being sold. In the following sections, you'll learn about the information required in the most common bills of sale in Georgia. In a Georgia general bill of sale, you should include the information discussed above related to the buyer and seller. You must also list details about the property that will be sold. If the item you're selling has a serial or registration number, it should be included in the bill of sale. You should also include a description of the property. For instance, if you were selling a mountain bike, you would want to list the make and model of the mountain bike along with the color of it. Next, you need to explain whether the bill of sale is being used for a cash purchase or for trade. If the seller accepts cash, the amount of the payment should first be written in words and then in numbers. For example, two-hundred and twenty-five dollars and no cents ($225.00). If the bill of sale has an item that will be traded, the trade item should be listed. If the item is being given as a gift, that should be explained in the bill of sale. Then, you should include the date that the buyer and seller agree that the payment will be made on. 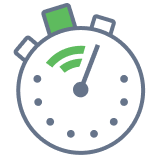 This is especially important if you're entering into a general bill of sale, but the buyer won't pay on the same day. You should make sure to include any additional conditions that are part of the sale (if any). The seller must also include a disclosure that informs the buyer if the property has any defect. Any known defects must be specifically listed. 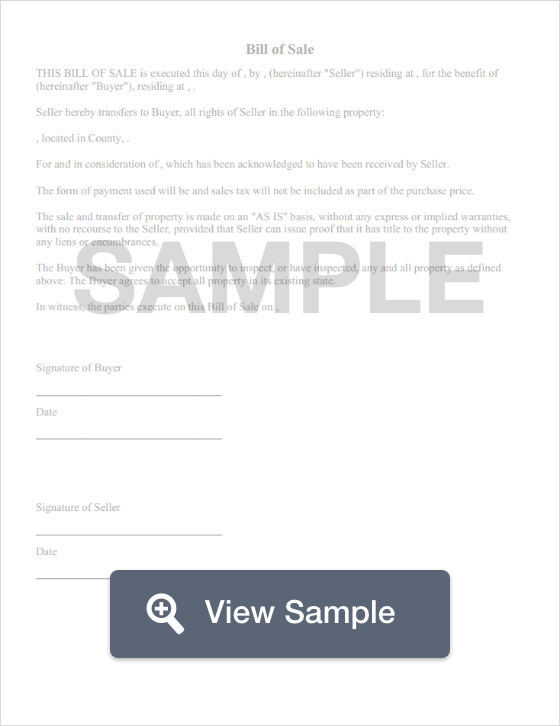 You can sign the seller's disclosure in front of a notary public although it is not a legal requirement in the State of Georgia as of 2018. Finally, the bill of sale should be signed and dated by both the buyer and the seller. A Georgia bill of sale for motor vehicles must include the basic information for the buyer and seller as listed above. You must also provide specific information about the vehicle. That information includes a court assigned case number (if the vehicle is being sold as part of a liquidation of some sort, such as in probate), the vehicle year, the make and model of the vehicle, and the VIN. If there's a lienholder for the vehicle, you must include the name of the lienholder along with their address, city, state, and zip code. The seller must also include an odometer reading and disclosure. If the odometer reading is incorrect, the seller must explain why. For example, if the odometer has flipped or stopped working, you would need to disclose that information in the bill of sale. If the vehicle was bought outside of Georgia or if the vehicle sale is court ordered, you'll need to include the purchase price along with any taxable fees or charges, a trade-in allowance (without a down payment or rebate), and the taxable amount (the purchase price minus the trade-in allowance). You must list the county of residence for the buyer and the amount of tax that is due. To do this, you'll need your county tax rate. You'll include the amount of sales tax that is due to the State of Georgia. A Georgia bill of sale for a motor vehicle must be signed and dated by both the buyer and the seller. For a Georgia bill of sale for boats, you need the previously listed information about the buyer and the seller. You also need to include specific information about the boat. That information includes the Georgia registration number or an out of state registration number if the boat is being brought in from out of state, the make and model, the year the boat was built, the Hull ID, the length of the boat, the primary color of the boat, and the trim color if it has any. A Georgia bill of sale for boats should include a buyer's disclosure. It should also include the day the bill of sale was created. Finally, it should be signed by both the buyer and the seller. A Georgia bill of sale for guns should include the same previously discussed information about the buyer and the seller. It should include the make, model, caliber, and serial number of the gun. The bill of sale should indicate whether the arrangement involves a trade or purchase. If the gun is a gift, that should be indicated in the bill of sale. If the exchange involves a trade, the item should be described as well as the condition the item is in. The price for the gun should be listed in words and then in numbers. For example, five-hundred dollars and no cents ($500.00). The bill of sale should include the date it was created. If payment for the gun will be made at a later date, that date should also be included. If there are other conditions for the sale, they should be listed in the bill of sale. The document should also include a buyer's and seller's disclosure. The bill of sale should be signed and dated by both the buyer and the seller. While it is not legally required to have the document notarized, you may find it beneficial in the event that the gun is stolen. Is a Georgia Bill of Sale Required to Register a Vehicle? A bill of sale to register a vehicle in Georgia is only required if the vehicle was made prior to 1985 and only if there is no title. To register your vehicle, you will visit your County Tag Office. You should take a valid Georgia driver's license or your state ID card, proof of ownership (such as a title or bill of sale), proof of insurance, and a completed Form MV-1 (Title/Tag Application). Is a Georgia Bill of Sale Required to Register a Boat? A Georgia bill of sale acts as proof of ownership during the boat registration process. Boat registration is completed through the Department of Natural Resources – Wildlife Resources Division. In addition to proof of ownership, you'll also need to complete a Georgia Vessel Registration Application. For new boats, you'll also need an MSO. If you're bringing a boat to Georgia that was registered in another state, you will need either a copy of the title or a copy of the out of state registration card. If you're attempting to register a handmade boat, you'll need to get a HIN number if the boat doesn't already have one. Is a Bill of Sale Required to Register a Gun in Georgia? No. A Georgia bill of sale is not required to register a gun. Georgia does not have a gun registry. However, a Georgia bill of sale can be a valuable record in the event that the gun is stolen. If you sell a gun in Georgia, though, it is important to recognize that you can face significant legal trouble if you knowingly sell the weapon to a felon. Create a free Georgia Bill of Sale in minutes with our professional document builder.